In “Underground Airlines,” author Ben H. Winters has imagined not only a disturbing but plausible alternate reality for the United States. But as a white author, he’s also imagined himself into the body and consciousness of his black narrator, Victor. These days in particular, that’s a controversial move. But the exceptional novel that results seems to me to be justification enough for such an act of creative crossing. In a since-deleted reddit post, the bus operator apologized to two riders for failing to say “good night” when dropping them off over the weekend. The reason: said bus operator was having a very rough day dealing with some less-than-courteous passengers. As someone who takes the Metro, thank you so much. I understand how stressful the job can be and ungrateful they can be. But trust me, people like me care that you’re willing to put up with us. Fair enough. 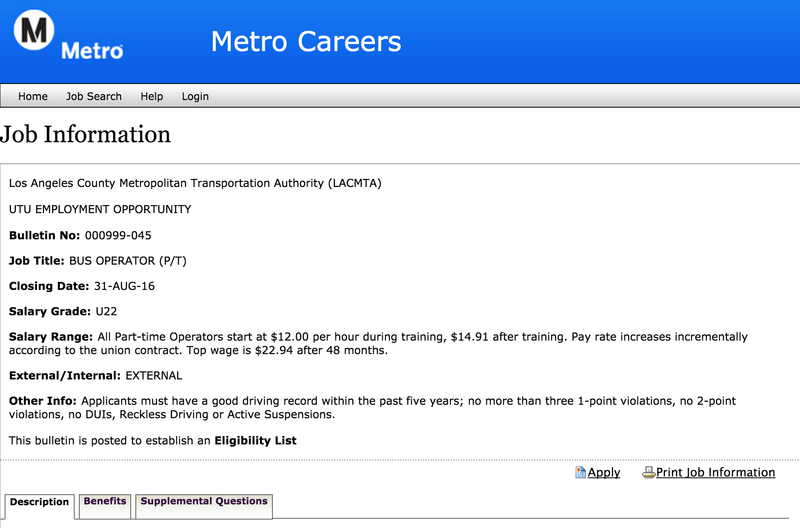 Metro, btw, is hiring part-time bus operators. Click above to learn more about the job, including benefits and responsibilities. A good overview of the crowding issues we’ve been seeing on the Expo Line since it opened in late May. With new light rail vehicles arriving at a pace of one-a-week, Metro is planning to increase Expo frequency to every six minutes as part of the annual December service changes. Those will initially be two-car trains and then will build to three-car trains as more light rail vehicles arrive. There are some choice quotes from riders. The most disconcerting thing, of course, is that some riders say that they can’t get on trains because they’re too crowded. We don’t think that happens very often and hopefully it won’t happen any more sooner rather than later. Map: Metro Transportation Library & Archive. Transpo reporter Steve Scauzillo points out that some pretty gnarly traffic has accompanied many of the recent Olympic Games. And that it doesn’t have to be that way. By using a lot of well-organized buses and staggering work hours, traffic wasn’t an issue at the most recent Olympics held in L.A. And that was before there was even one inch of Metro Rail or Metrolink. Attentive readers know that the International Olympic Committee are scheduled in Sept. 2017 to choose between Budapest, L.A., Paris and Rome as host of the 2024 Games. 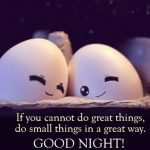 I’ve got a separate post coming on that soonly. 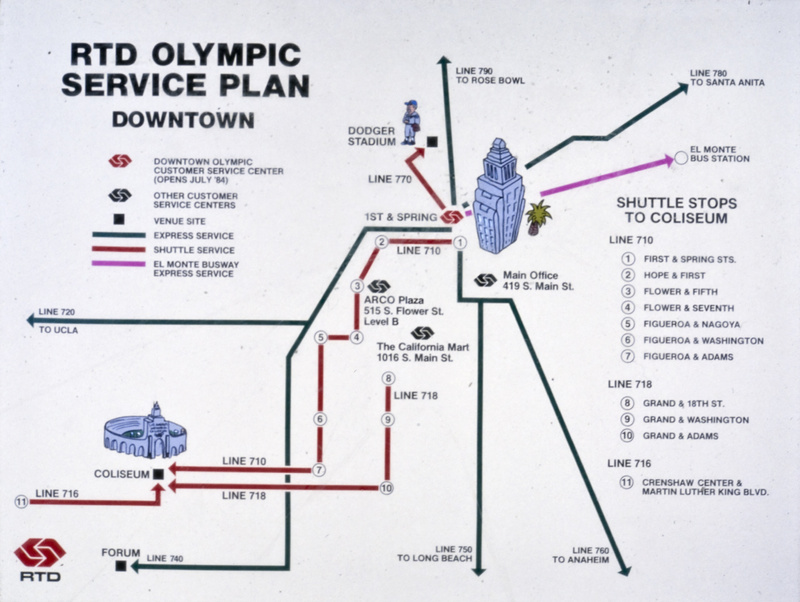 Related: Here’s an excellent post on the Metro Transportation Library & Archive’s blog about the RTD’s preparations for the ’84 Olympics and the expected traffic. Streetsblog LA’s Damien Newton and Doug Lewis catch up with Metro Board Chair John Fasana, who serves on the Duarte City Council and has long represented the San Gabriel Valley. Perhaps most notably, there is talk about SGV attitudes past and present toward Metro ballot measures. This actually happened in late June (whoopsy, I missed it) with some more recent news about who is supporting the measure among Austin-area lawmakers. The bond measure looks to be pretty light on transit improvements and there’s no light rail planned, given that light rail has proven to be a lightning rod in Austin. Nonethless, Austin joins a long list of cities/regions that will tackle local transportation at the polls — a list that includes L.A. County (with Metro’s sales tax ballot measure), much of the S.F. Bay area and the greater San Diego and Seattle regions. Portland, meanwhile, is aiming toward 2018. Since the subject of journalism comes up every so often in this space, here’s 19 glorious/depressing minutes of John Oliver’s take on the subject. Headphones please if riding transit and the obligatory warning of some adult language. Tagged as: Austin transportation bond measure, bus operator, crowding, Expo Line, Kinkisharyo, Los Angeles Olympics 2024, Metro sales tax ballot measure, new light rail vehicles, things to read whilst transiting, transit manners, transportation plan Olympics, what does a bus driver make in L.A.
Steve, thanks for updating us on the Olympic bid. Not sure what you will cover in that post, but I know there had been discussions about the purple line phase 3 being completed by 2024 if LA gets the bid (maybe with the help of some federal dollars or Olympic dollars). However, if R2/M passes, the purple line phase 3 will be accelerated to 2024 without that extra funding. Does this mean that the federal/Olympic dollars would be spent elsewhere if R2/M passes (ahem, extending the purple line to the beach or the Crenshaw line through West Hollywood) to help move people around the events in central LA? The plus of a 2024 Olympics in LA is that very little infrastructure will need to be built. Even if the subway wasn’t yet complete to UCLA you could run an express shuttle bus from Wilshire/La Cienega and Rancho Park to UCLA and most people will tolerate it. Correct. And Andrew: I can’t say how the money would be doled out. Obviously the sales tax ballot measure shows the PLE being accelerated in the 2024-26 timeframe. If ballot measure doesn’t pass, I don’t know what fallback plan is (or if there is one) in terms of acceleration. I don’t believe that the LA bid committee is planning on spending any money on subway acceleration so I don’t think it’s a matter of any money being freed up. Thanks Steve. I guess my question is whether the acceleration program Metro was seeking for the purple line from the Federal Transit Authority (http://www.latimes.com/local/lanow/la-me-ln-metro-rail-olympics-20150909-story.html) would transition to another line and/or an addition of another line if the ballot initiative passes. Hard to say. The acceleration in the ballot measure relies on local dollars + federal dollars — not just local $s. RE: “Expo Line doesn’t have enough cars for its surging ridership (LAT)” – Really, Steve, you think it is NOT a common occurrence for Expo Line trains to be too crowded for more passengers to board? It happens often enough on the northbound line at the Jefferson/USC station that I have abandoned the idea of taking that train to get to the Metro station at 7th & Figueroa until those are three-car trains all the time during peak hours. Instead, I now walk farther in order to catch a northbound bus at the Exposition bus-stop up on the 110 freeway — because then at least I know there will be room for me to climb aboard. I usually even find a seat. I got tired of seeing the northbound Expo Line train arrive at Jefferson/USC with standing-room-only crowding all the way through the aisles and right up to the areas just inside the doors. In the past, I would simply wait for the next train and it would be less crowded, but the last few times I waited, the subsequent trains were just as crowded as the first ones had been. When I read that Metro is striving to add a third card to all Expo Line trains, I believe it. What I don’t believe is that it will happen any time in the next 6 to 9 months — and that goes for the Gold Line, too. Please don’t blow smoke and then try to claim it’s just a very smoggy day. That’s no fair, Metro is forcing riders to go to the 110 Freeway to ride the expensive Silver Line by not having enough trains. There should be a premium charge waiver at the 37th Street northbound station until the overcrowding issue at the Expo Line is full resolved. Prior to Phase 2 Opening, Around 10 am I’d bring my bike on Expo from Western to La Cienega, so I wouldn’t be sweaty at work. in the afternoon, I’d ride the 6 miles home for the exercise. When Phase 2 opened, for the first week getting on Expo was an exercise in futility. I now ride both to and from work. What concerns me more, with the new 20 minute service with 2 car trains after 8pm. When I’m out late for a meeting, coming across packed trains at 9:30 at night where not being able to get on a train could leave a person on a platform waiting up to 40 minutes or more. While I would prefer 10-minute service, if Metro insists on infrequent service at night, could they please run 3-car trains? It might give someone a fighting chance to get where they are going. Metro and OCTA bus drivers are some of the most helpful people around. I had an OCTA drive jump off the bus and yell to me that I was going the wrong way to make my connection. She was the best! 1) Why do they keep calling the North Hollywood station entrance an “underpass”? The station is under Lankershim – the new entrance is just that, a new entrance – no tunnel needed. 2) Agree wholeheartedly on the overcrowded Expo line, although I’ve never not been able to board – but sardinelike conditions at 9:40 PM eastbound (from Sepulveda) were really not what I expected. 3) Running test trains during rush hour? Really? Operators and track space are needed for occupied trains – and we really don’t need broken-down test trains interfering with “real” trains.